An affiliate network company is one that acts as a third-party "honest broker" and functions as a middleman between merchants and affiliates. It's a centralized service where merchants can list their products and the details of their affiliate programs, and affiliates can peruse the various programs available and then sign-up for the ones they choose. The affiliate network company looks after all of the sales tracking statistics, provision of marketing tools, and the issue of commission checks to affiliates. For merchants, joining an affiliate network places thousands of eager affiliates right on their doorsteps. The marketing value and the simplicity of having another company administer their affiliate program is worth the (sometimes) hefty prices levied by the networks. Joining an affiliate network as an affiliate is equally beneficial. Joining is free, and the whole process of finding and selecting programs is simplified through categorical search facilities. Because merchants pay top-dollar for a good network's management services, affiliate networks in general tend to offer higher-quality programs. At most of the networks, you enter all your contact and payment details (name, address, phone number, etc.) just once. After being accepted into the network, you then apply to each merchant's program separately. In some instances, approval is immediate, and in others you may have to wait a day (or seven) for the merchant to get back to you. Once accepted, marketing material for each merchant is readily available, and HMTL code for banners and text links is usually generated with a single mouse click. You simply cut and paste the code into your Web site pages. The banners are hosted on the affiliate network servers, which will save you bandwidth charges. As an affiliate member of a network, you will receive notification when new merchants join the network. Some networks will send only notices of merchants that are relevant to your site, which saves time when sorting through your email. Some networks even let you know which merchant programs are low on funds and therefore may not be a good idea to promote at a given time. Most, but not all networks consolidate your earnings from each of your affiliated merchants into a single monthly paycheck. That, along with being able to access your statistics in a centralized interface instead of visiting each merchant's site separately are perhaps the best aspects of joining a network. Each affiliate network is set-up and operates differently. So in the section below I give you an overview of the application and payment processes, affiliate interface, marketing tools and more at the 'Net's top affiliate networks. I have concentrated on listing those networks that offer CPA, CPC and CPS. 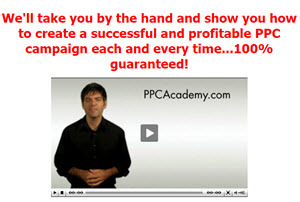 I have left the primarily CPM networks out of the equation because I don't personally promote such offers. CPM campaigns are usually low-paying sweepstakes or other 'freebie' types of offers that simply want to collect email addresses so that they can send out more promotional material, that you won't get paid for. I highly recommend that you visit each and every one of the following affiliate networks.